The National Museum and Gallery in Cardiff occupies pride of place as one of the ancient and unique British museums and galleries. It has a range of art and science displays with magnificent settings for works by some of the world's most famous artists, including the Impressionists. The gallery is a part of the Edwardian civic complex of the Cathays Park, which includes the City Hall and the Law Courts. The National museum and gallery was founded in 1912. However the construction was delayed due to the First World War and the National Museum was not open to the public until 1927. Some parts of the building were completed in 1932. The museum is officially called 'The National Museum and Gallery, Cardiff', in order to avoid confusion with the wider network of National Museum and Galleries of Wales (NMGW), of which it is a part. 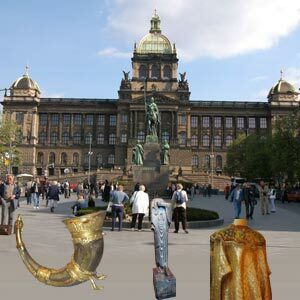 The National museum has spectacular displays of Bronze Age gold, early Christian monuments, Celtic treasures, silver coins and medals, ceramics, fossils and minerals. The museum also conducts exciting temporary exhibitions and events for families during holidays. The museum has a gallery devoted to the patronage of the Grand Tour, in particular that of Sir Watkin William-Wynn, who was nick named 'the Welsh medici' for lavish grants towards the arts. There are also collections of French art assembled by Margaret and Gwendoline Davies, granddaughters of the wealthy industrialist David Davies. The National museum and gallery has works by all of the notable Welsh artists, including landscapes by Richard Wilson and Thomas Jones. The gallery has among its collections works of John Gibson, Queen Victoria's favourite sculptor. The museum also holds a small collection of Renaissance art including painting by Palma Vecchio and Amico Aspertini. National Museum and gallery has some of the best collections of the 20th century including works by sculptors Jacob Epstein and Eric Gull and painters Stanley Spencer, L.S.Lowry and Oskar Kokoschka. The museum also encourages contemporary artists by displaying their work in the galleries.